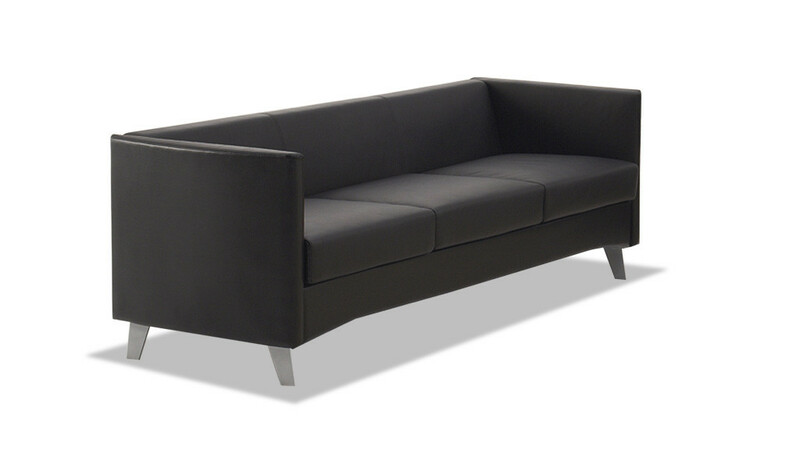 A three seater office sofa in jet black leather with a stylish and contemporary profile. Designed with genuine leather upholstery and frosted white loop shape metal frame, its an ideal for modern offices lobbies, receptions and waiting areas. 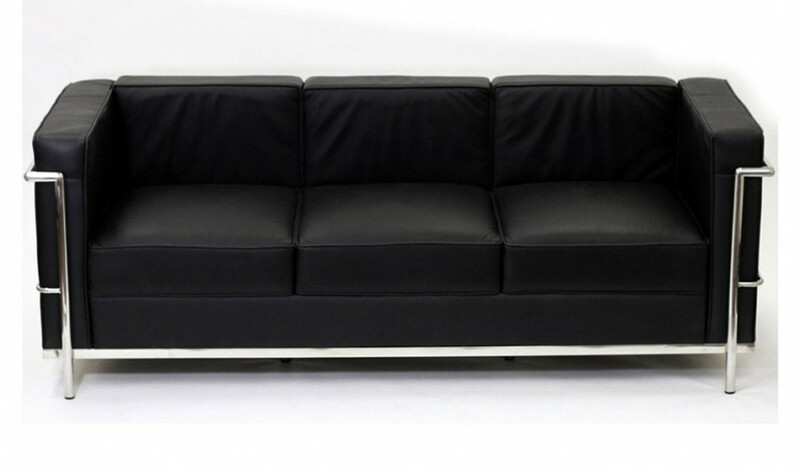 – This office sofa looks best in black leather as seen in the picture. You can also order it in various other colors and fabrics of your choice. 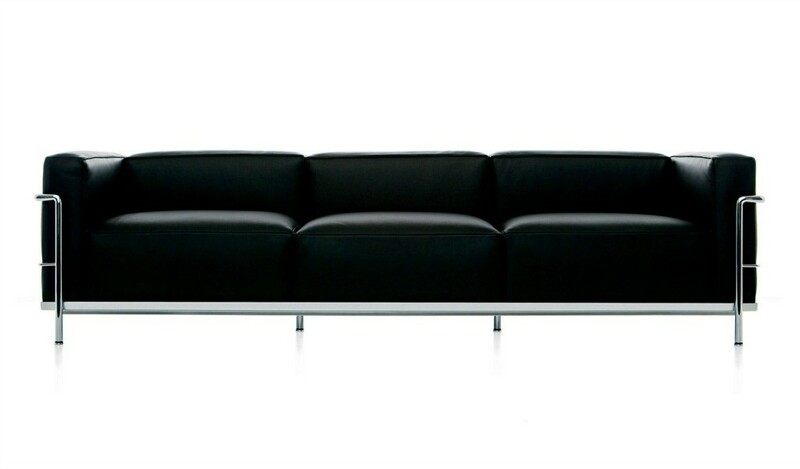 – A contemporary office sofa in black leather suitable for modern work spaces, waiting areas, lounges, lobbies and large office cabins. 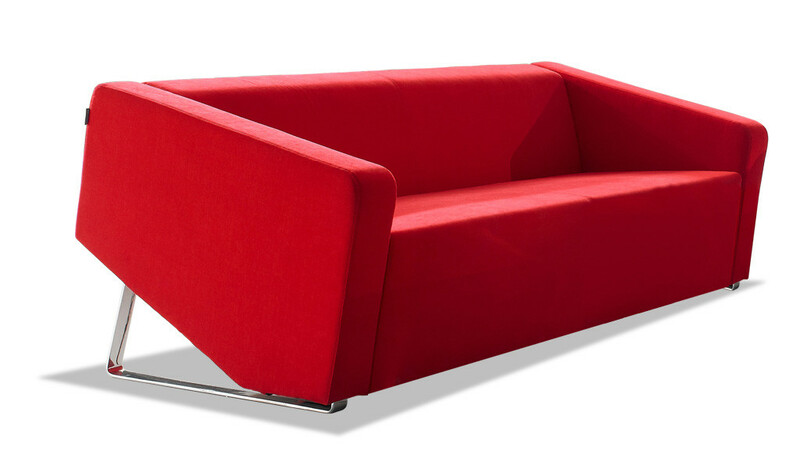 – Three seater office sofa in leather with powder coated steel arms and frame. 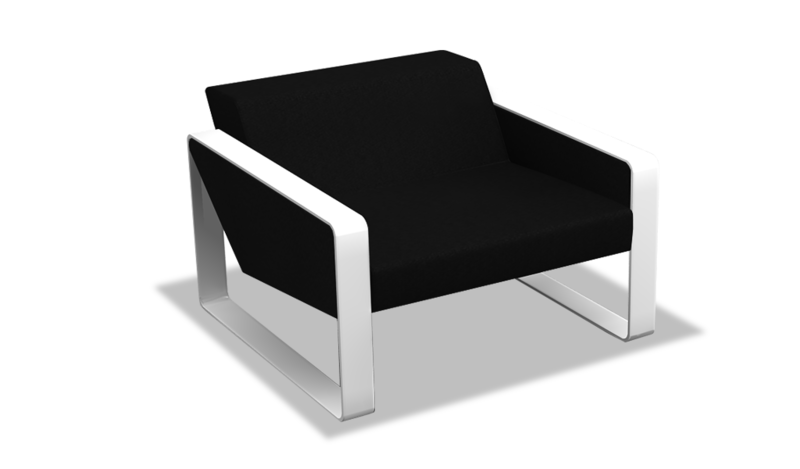 – Genuine leather, high density firm foam and white powder coated heavy duty steel frame. 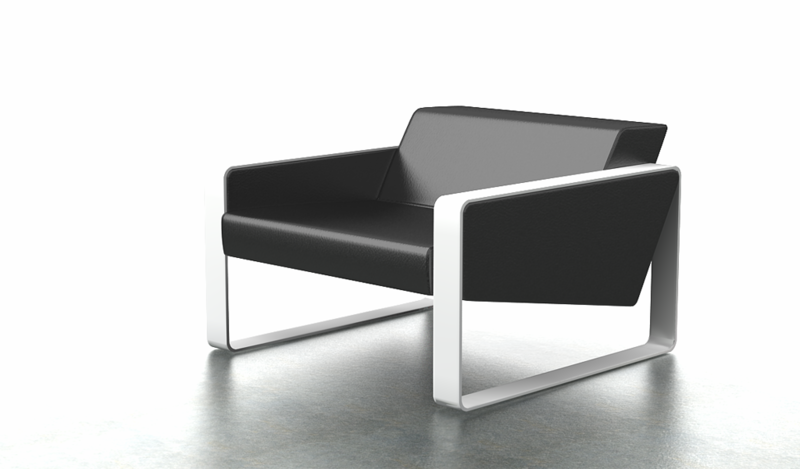 – A large, stylish and sleek leather office sofa designed with frosted white steel frame in powder coated finish. 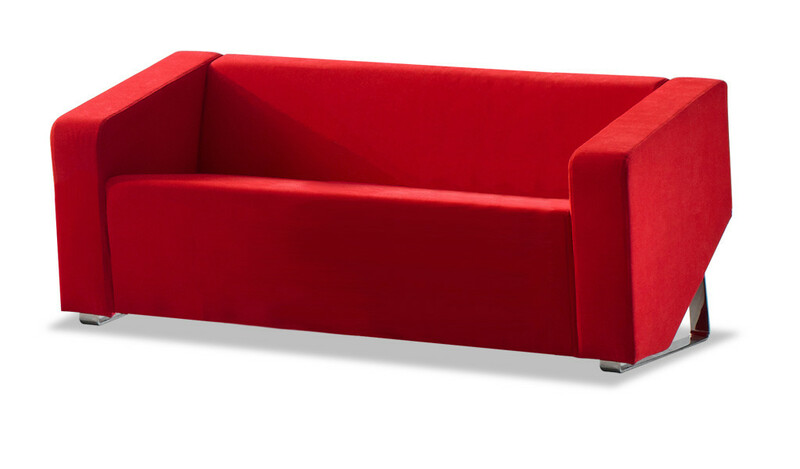 Upholstered in premium leather the stylish sofa is a perfect choice for contemporary interiors. You can also customize in different leather colors or fabric to match your design theme.